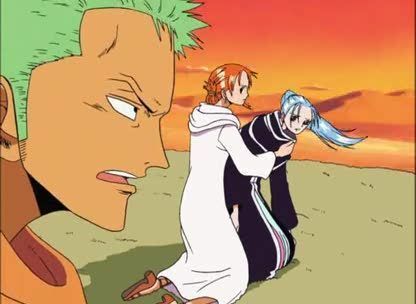 Stream anime episodes online for free, Watch One piece Episode 110 English version online and free episodes. Anime Episode guide One piece Episode 110 English dubbed Merciless Mortal Combat! Luffy vs. Crocodile! After escaping from Rain Dinners, the Straw Hats and Vivi cross the desert to Alubarne, where the final battle will take place. Crocodile, however, manages to catch Luffy, beginning the first round of their battle. Luffy is unable to land a hit on Crocodile because of his Sand-Sand fruit powers, which enable him to turn into sand to avoid any attack.